Here is ASUS TUF GAMING FX705GM-BI7N5 drivers for Windows 10 64 bit you can download and install to get your laptop work properly. 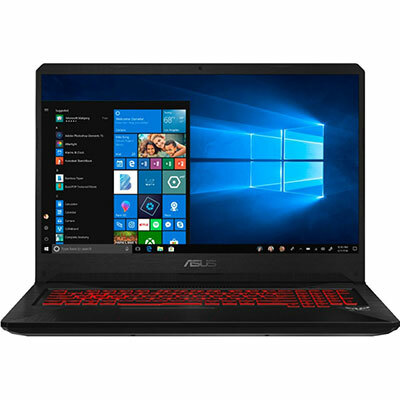 ASUS TUF Gaming FX705GM-BI7N5 is 17.3-inches powerful gaming laptop powered by 8th generation 2.2 GHz Intel Core i7-8750H hexa-core (6 cores) mobile processor with NVIDIA GeForce GTX 1060 graphics video card (3GB GDDR5 VRAM). This ASUS notebook comes with 16GB SO-DIMM DDR4 RAM and 512GB PCIe Gen3 SSD for storing your documents. It features HDMI 2.0 port, Type-A USB 3.1 (Gen 1) port, 802.11ac Wireless LAN WLAN, Bluetooth 5.0, and 4-cell 64 Wh polymer battery.